A satellite photograph taken last year over central China shows one of five Chinese B-6D bombers that were converted into air-refueling tankers. The Defense Intelligence Agency says the tankers allow Beijing's planes to reach well into the South China Sea. 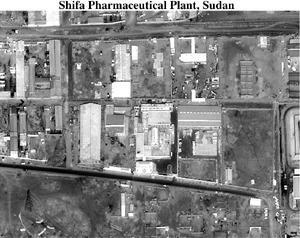 An advanced KH-11 photograph of the Shifa Pharmaceutical Plant, Sudan. 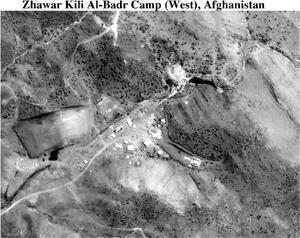 This degraded photo, of approximately 1-meter resolution, was officially released after the U.S. attack on the plant in August 1998 in retaliation for attacks on two U.S. embassies in Africa. 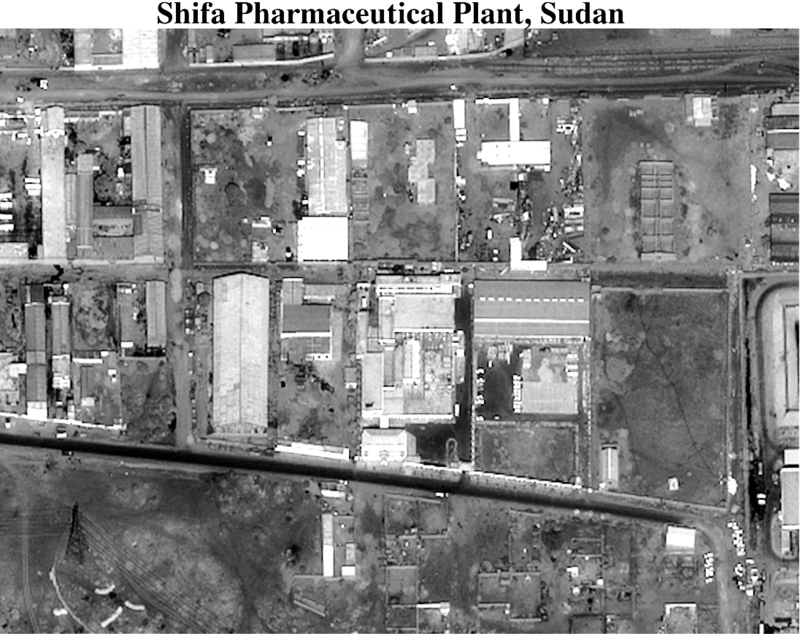 The U.S. alleged, at least partially on the basis of soil samples, that the plant was involved in the production of chemical weapons. A degraded advanced KH-11 photograph of the Zhawar Kili Base Camp (West), Afghanistan, which housed training facilities for Osama Bin Laden's terrorist organization. 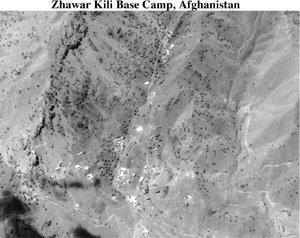 The photograph was used by Secretary of Defense William S. Cohen and General Henry H. Shelton, the Chairman of the Joint Chiefs of Staff to brief reporters on the U.S. cruise missile attack on the facility. 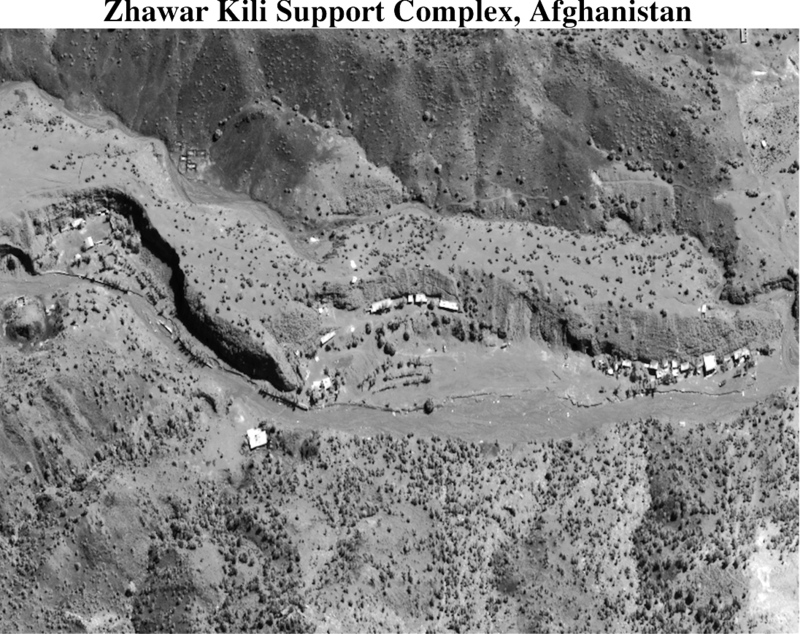 One of over twenty degraded advanced KH-11 photos, released by the Department of Defense in December 1998 during Operation Desert Fox. 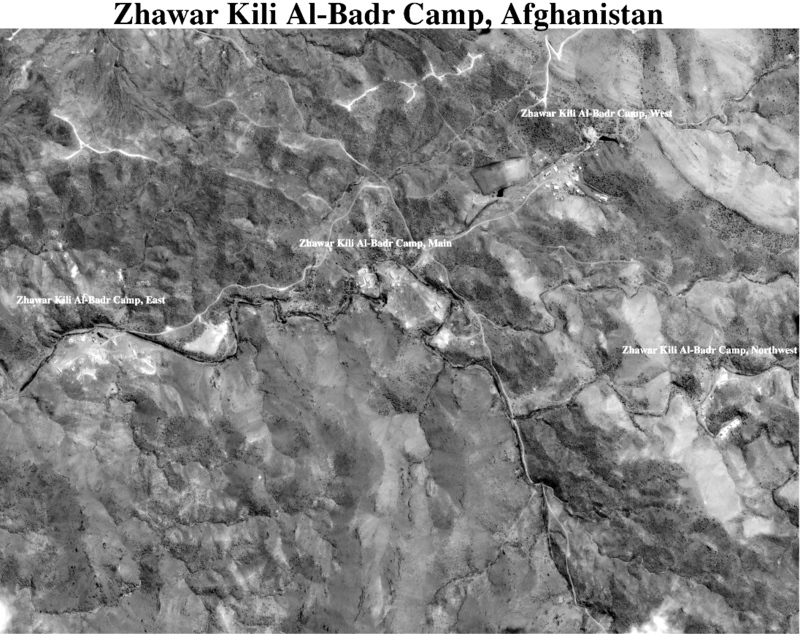 The higher resolution, and classified, version of the image was used by imagery interpreters at the National Imagery and Mapping Agency to assess the damage caused by U.S. airstrikes. 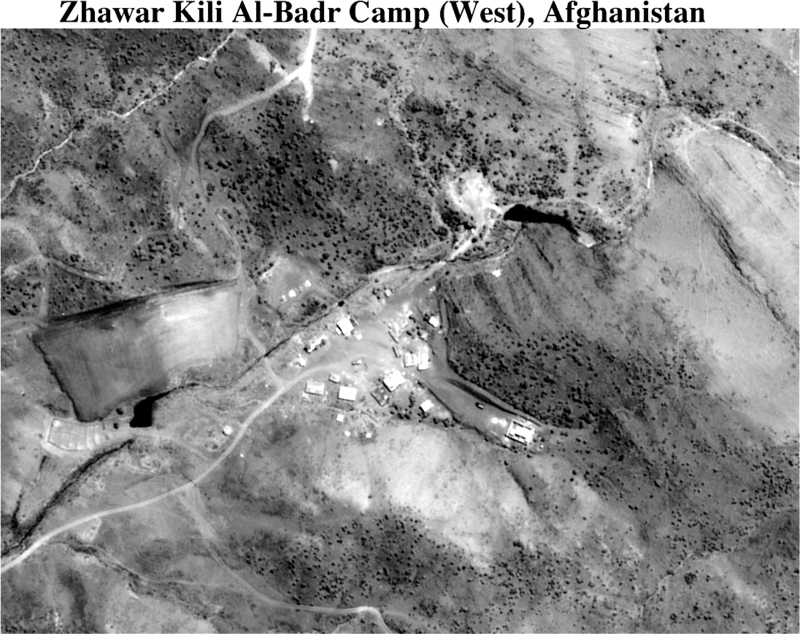 A degraded advanced KH-11 photo of Al Sahra Airfield, Iraq, used by Vice Adm. Scott A. Fry, USN, Director, J-3 and Rear Admiral Thomas R. Wilson, USN, Joint Staff intelligence director in a Pentagon press briefing on December 18, 1998. 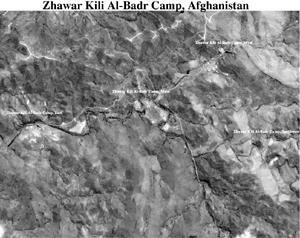 The arrows in this degraded advanced KH-11 image, used in a Pentagon press briefing on December 19, 1998, show two areas where the Secretariat Presidential was damaged due to Operation Desert Fox airstrikes. Pre-strike assessment photograph of the Belgrade Army Garrison and headquarters, Serbia. Post-strike damage assessment photograph of the Belgrade Army Garrison and Headquarters, Serbia, attacked during Operation Allied Force. Photo credits: Richelson, Jeffery. US Satellite Imagery, 1960-1999. Nastional Security Archive Electronic Briefing Book No 13. George Washington University, National Security Archive. April 14, 1999.